Caring for people who are near the end of life has a relatively short timeframe as a specialist health care activity. In this chapter, the history of palliative care is briefly outlined along with a description of who might provide such care. 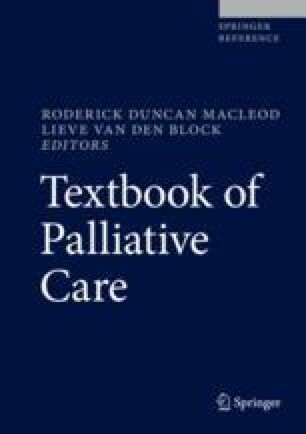 An introduction to aspects of learning in palliative care is followed by an emphasis on the importance of psychosocial-spiritual assessment and care; some of the universal needs of people who are dying is outlined. It is important to recognize the significance of understanding the social, emotional, psychological, cultural, sexual, and spiritual context of each clinical situation and to view these within our own and our institution’s and perhaps our society’s ethical framework. By doing so, we can begin to understand how best to understand the nature of palliative care and how best we might approach this most significant aspect of care in people’s lives.